Credit card fraud is a big problem these days. It’s your responsibility to protect your card and use it safely. Despite your best efforts, if you think your card details have been copied or stolen tell your card provider straight away. Don’t let anyone else know your PIN (personal identification number). Your PIN is the security number you get with your credit card. You will be asked to input your PIN when you buy something with your card or withdraw money from a cash machine (ATM). If you think someone knows your PIN tell your card provider straight away. If you don’t, and someone else uses it, you may have to repay the money owed. Keep your card in sight. When you are paying for things in shops, restaurants or anywhere else, you should be able to see what is happening with your card at all times. If your card is taken away from you, it could be skimmed. 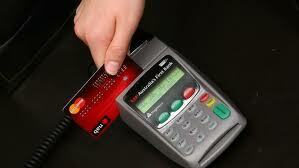 This is where the information in the magnetic stripe on the back of your card is copied to be re-used illegally. If you think this has happened, contact your card provider straight away. Check your statement each month. Make sure all the spending records are correct and talk to your card provider about any spending you don’t recognize. Use an online verification scheme. For extra security your card provider may suggest you use an online verification scheme, either Verified by Visa or MasterCard Secure Code. You set up an additional password which you key in when shopping online. The password is then verified by your card provider before your payment is completed. Report lost or stolen cards immediately. The contact number for reporting lost or stolen cards will be on your last credit card statement or on your provider’s website. If you have card protection insurance you should contact the insurance company as well. A little extra care will prevent many troubles and hardships.